Over time, it’s easy for oils, dirt, and other substances to work their way into leather materials. Without proper cleaning, the leather can begin to erode, fade, and crack. Unfortunately, many cleaning products on the market are not appropriate for leather and may break down leather finishes, which can lead to worse dryness and cracking. San Juan County Chem-Dry is proud to use only leather cleaning products that are safe and effective for your leather furniture. You can prevent unnecessary wear and tear on your leather by getting it serviced by a certified Chem-Dry Leather Cleaning Professional. We train our Farmington technicians to be able to handle all types of leather and clean them thoroughly and efficiently. 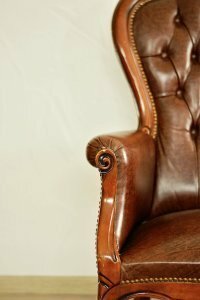 Leather couches and chairs are bound to experience some of the common problems associated with all leather furniture: scratches, fading, and scuffs. We are trained to address these problems and rectify a variety of them. We even have 60 stock pigment colors similar to the ones used in the tanning process to repair scrapes and scratches on leather in a way that matches the color of your leather. We can also revitalize color on sensitive aniline leathers. A professional cleaning should be scheduled every 6-12 months to keep leather in top shape. But outside of those deep cleanings, you’ll want to have a regular DIY cleaning schedule as well. We offer home cleaning products that are sure to work and be safe for leather. You can easily maintain the integrity and beauty of your leather furniture by cleaning with Chem-Dry Soft Cleaner and rejuvenating the protection with Chem-Dry Protection Cream. Both products are found in the Chem-Dry Home Leather Care Kit – ask us today about how you can get your hands on this great product. Keep the leather vacuumed and of course, always try to avoid scratching it when possible. Oils and Grease: Oils from both us and our animals attach and hold onto leather. Hair and hand oils are easily transferred to the head cushions and armrests of the furniture and can cause serious damage to the protective finishes found on leather furniture. Dust: Consider the dust that builds up on a coffee table or desk over a week’s time. This same dust is being deposited on your leather, though it might not be as obvious. In addition to this dust, you add airborne cooking oils and pollutants that are present, to some degree, in every home. Dirt: These soils include the common dirt tracked in from outside along with sand and fibers from plants. The fibers are brought in the home by adults, kids, and pets and attach to the leather every time the furniture is used. Dyes and Inks: The inks from newsprint in newspapers can readily be deposited on leather. Clothes such as denims can transfer dye onto leather in a process called dye transfer. Leaky pens or children’s art can also cause problems in leather. 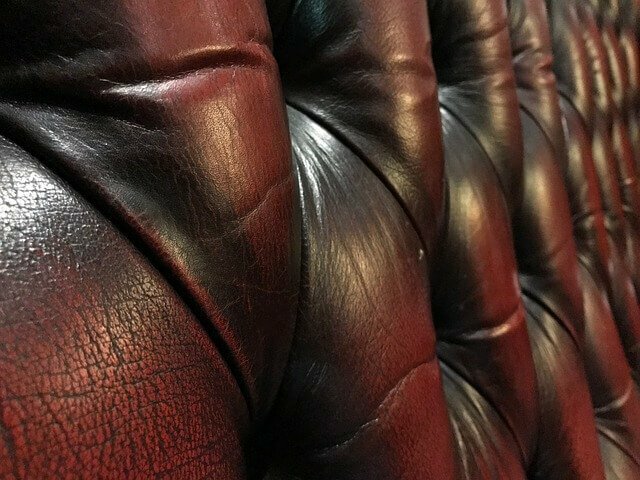 Whatever your leather needs in the Farmington area- whether it be a full cleaning or advice – give us a call!